LetMeSpy (LMS) is a free mobile application for your mobile phone with Android™. It tracks Calls, SMS and GPS locations of the phone it is installed. This program is very light and can be invisible to the user. Just download the installation file and install the app on the phone you want to track. 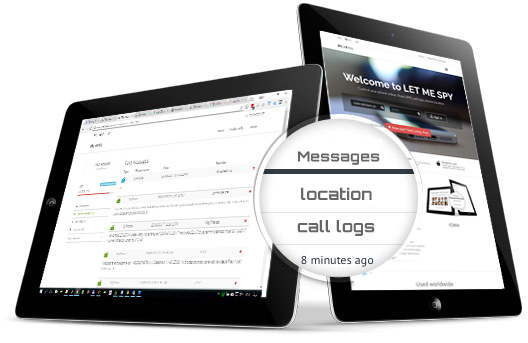 You can monitor tracked phone 24 hours/day from your computer on www.letmespy.com. Please note that phone control without your knowledge and consent may be illegal in your country. If you use the LetMeSpy software on a third-party phone, always inform about privacy restrictions. Download and install application on tracked phone! Collects records of incoming and outgoing phone call logs with phone number, date and time calls were made and length of calls. 1 Download application directly on tracked phone. 2 Install the application, sign in or register. Read this if you need help. You can read all the SMS messages and view call logs	even if you do not have your phone with you! You always knows the exact location of a phone - checking locations of cell phone on the map. Android and Google Play is a trademark of Google Inc. registered in the U.S. and other countries.